Turkoglu’s aggression led to 12 points off the bench – all from behind the 3-point line. After he didn’t get off the bench in the Clippers’ win over Oklahoma City, Turkoglu was pressed into action Monday when Blake Griffin picked up two early fouls. 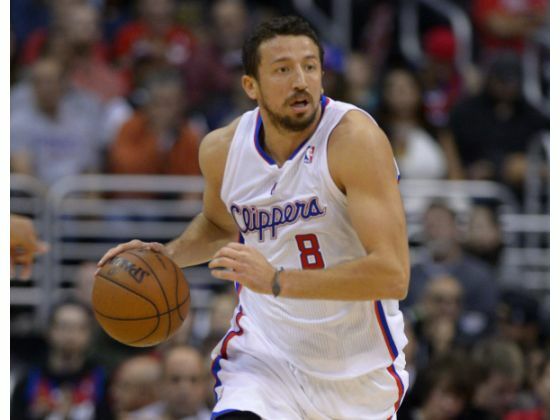 Backing up Griffin, admittedly, is still a learning curve for Turkoglu. It’s the little things, like catching the ball in the right places, that still have Turkoglu thinking out on the court. But Monday, flashes of the scorer he used to be surfaced as he looked for ways to be involved in the offense. He’s realistic, though, and knows the days of being a double-digit scorer every night are probably over. The trade deadline passed without the Clippers making a major move, but their publicized talks with the New York Knicks seemed to have had consequences. Matt Barnes and Darren Collison, the two principal pieces being discussed in a deal for Iman Shumpert, acknowledged to being affected by reports of the discussions, and it bled over onto the court. Barnes struggled in the home loss to San Antonio before the deadline and Collison scuffled in a road loss to Memphis after, but both players have regrouped. Collison created havoc in the win over the Thunder on Sunday, helping force back-up point guard Reggie Jackson into a four turnover, 3-of-12 shooting game. Then against New Orleans, Collison scored 12 points off the bench, playing with confidence and pace. Barnes said the talks reminded him of the business nature of the game.